Pubs in Ireland are the cornerstone of their communities; relaxed places where locals and visitors can experience the best of traditional Irish hospitality. Many pubs have also become the place to go for a great meal, with a choice of both traditional and contemporary dishes. In recent years Irish cooking has been transformed, with skillful cooks making the most of wonderful fresh local produce to create delicious new dishes and giving a twist to many classics. This collection includes the best of both worlds - with best-loved favorites such as Irish Stew and Split Pea and Ham Soup and also newer recipes, like Scallop Chowder or Oatmeal and Raspberry Cream to set your taste buds tingling. 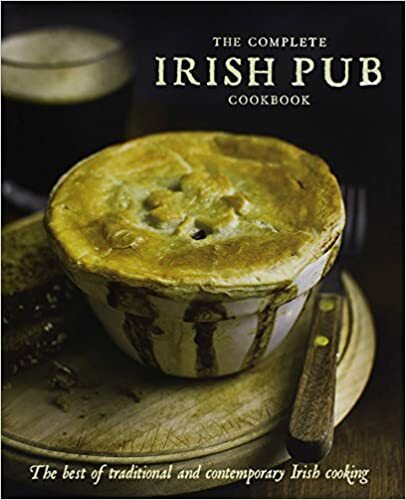 So just open this book to enjoy the best of traditional and contemporary Irish pub cooking.